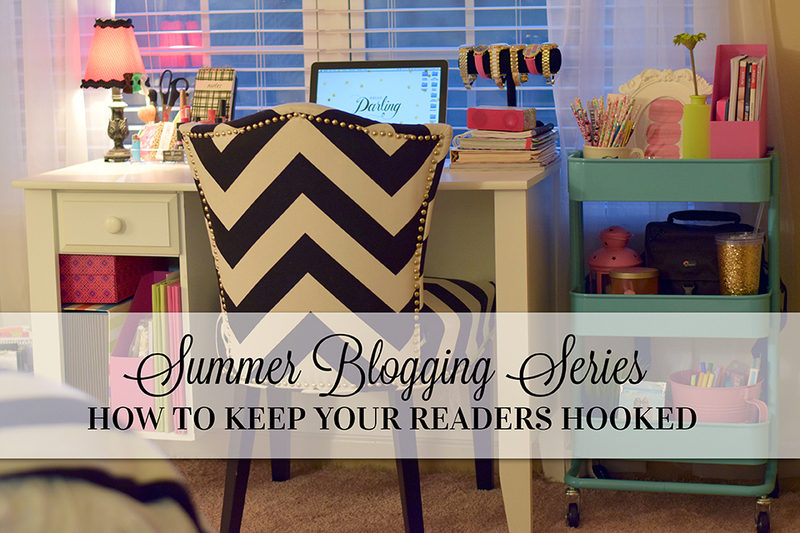 Hey y’all… I’m back again with another installment of my Summer Blogging Series. This week, I have compiled every single app I use to trick my readers into thinking I’m not a hot mess 😉 Confession time: I’m not naturally tan, organized, or even a great speller. And fabulous lighting is tough to find sometimes! (Cue Hannah Montana’s Nobody’s Perfect) So thank goodness for modern technology! I’m banking on the fact that y’all already use the obvious social media apps (Instagram, Twitter, Facebook, Pinterest), so we won’t cover those. 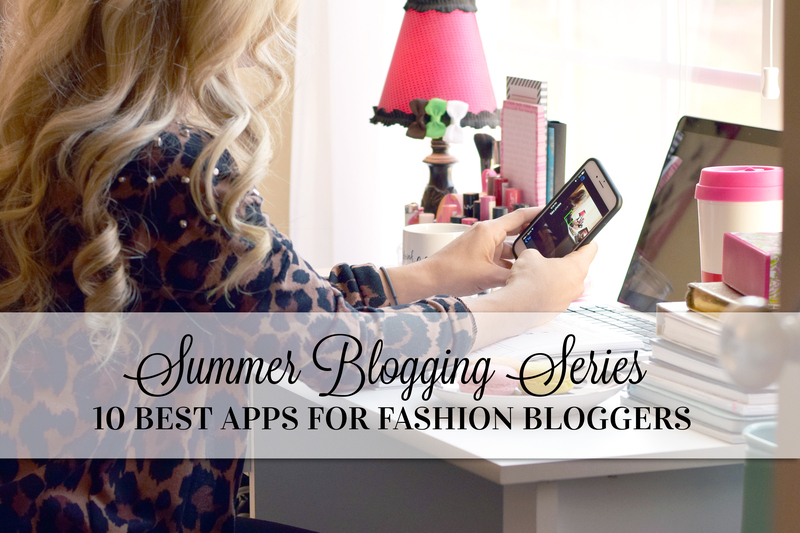 This post is all about the additional apps that will help you elevate your blog game on the go! 1. AfterLight: Before any photo I take makes it to Instagram, I always edit it with this app. It’s easy to use and just takes a couple quick edits to make an ordinary picture eye catching. Once I upload a photo into the app, I increase the brightness, saturation, warmth, and finally sharpen it. If I have an image that isn’t square but needs to be because Instagram is bossy, I can add a white background in the app as well. It is my all-time favorite! 2. Pic Tap Go: This app was recommended to me by Emily Helm of Life with Emily and I cannot believe I haven’t tried it sooner. The ease of use is great and I like the brightness and saturation settings a bit more than AfterLight. The best part is this app will save your past settings, so you can easily apply your favorite filter in the future. 3. PicFX: I use this app solely for the awesome bokeh options… yenno, the little lens flare sparkles I use on some of my images? There are quite a few options and you can adjust the strength of the bokeh as well. 4. VSCOCam: Think about your brand before delving into this one. My photos are typically bright and crisp, so I use this app sparingly. But take Mary Seng of Happily Grey for instance. If she wasn’t so cool already, each one of her photos has a gray filter and it makes her Instagram feed have a theme. VSCOCam is awesome is you want to do the same and stylize your Instagram feed. 5. Snapseed: There are tons of options on this app, but I use it mainly for landscape or skyscape images. The Drama filter is my go-to for adding dimension to clouds. 6. iDashboard: I check this sucker twenty times a day! It is my personal favorite of the Google Analytics apps. I am able to check every traffic stat and set daily, weekly, and monthly goals. 8. 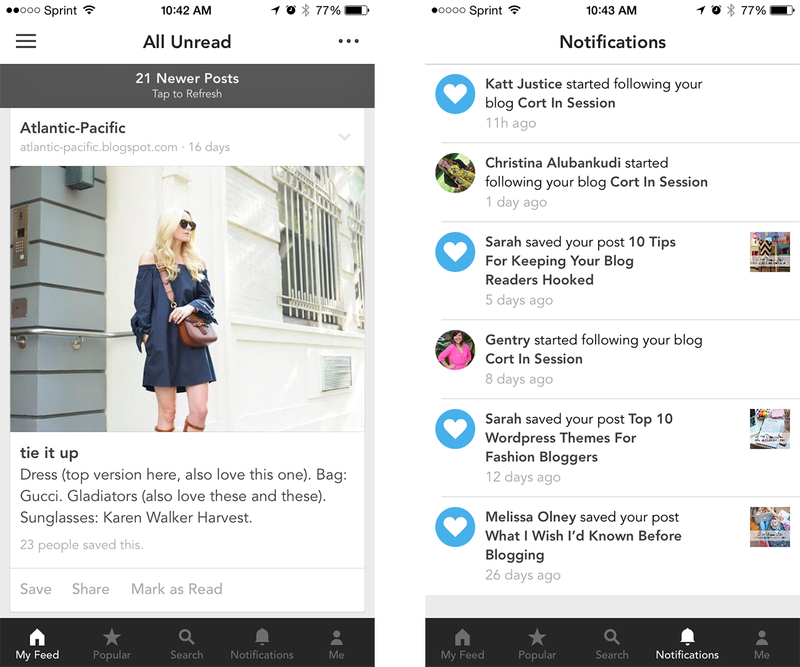 BlogLovin: How would I easily stalk my favorite bloggers without this app? 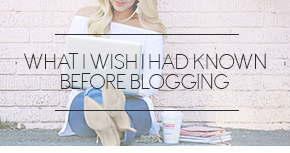 BlogLovin is great because it keeps me from having to jump from blog to blog online to check out all the latest posts. It consolidates them into one feed and lets me save my favorites to visit later. I can also see who is following, liking, and commenting on my posts as well. 9. 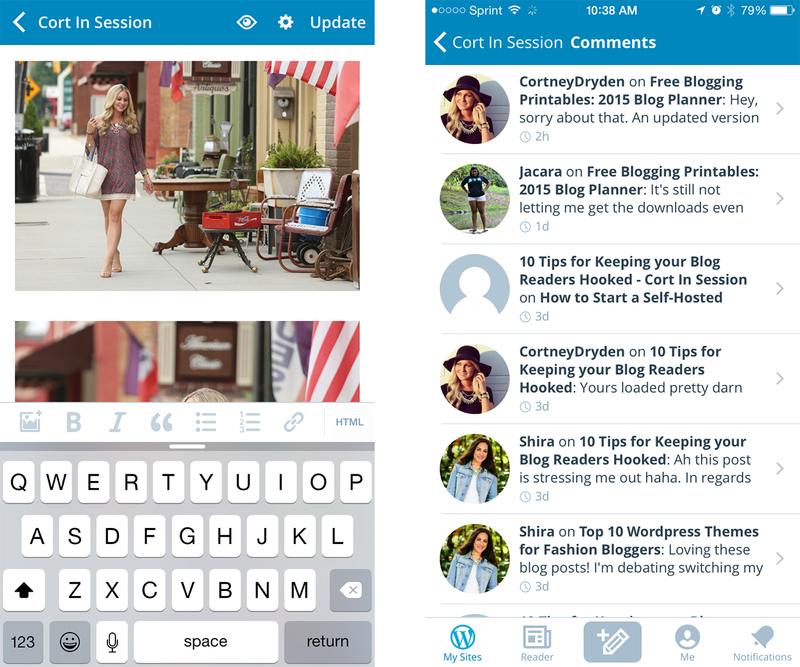 WordPress: Thank goodness for this app! More often than not, I find a typo on my blog posts once they’re published and I’ve stepped away from the computer. With this app I can update blog posts, see who is commenting on my posts and reply, and even begin a new blog post if inspiration strikes! 10. DropBox: I keep a big chunk of my blog photos in DropBox so I can easily go between my phone and computer with them. I have run out of room on my iPhone quite a few times, so I keep all of my high-res images in labeled folders of this app. It takes a large image quite some time to email, but it’s a snap to transfer with DropBox. Additionally, my DSLR has wifi so the images I shoot go directly to my phone. I put all of these pics into DropBox so I can edit them in Photoshop or on my phone with an app. 1. Loading Time: This is the biggie! If you’re blog takes a long time to load, it doesn’t matter how good the content is, your potential readers are peacing out. Website speed is the first thing a visitor notices, then website design. But if it takes a while for your site to load, readers will never get to see your design. So first, identify if there is an issue. Test your website speed with Pingdom. You want your site to score an 80 or higher to stay out of the red zone! If you’re slow, identify the problem. 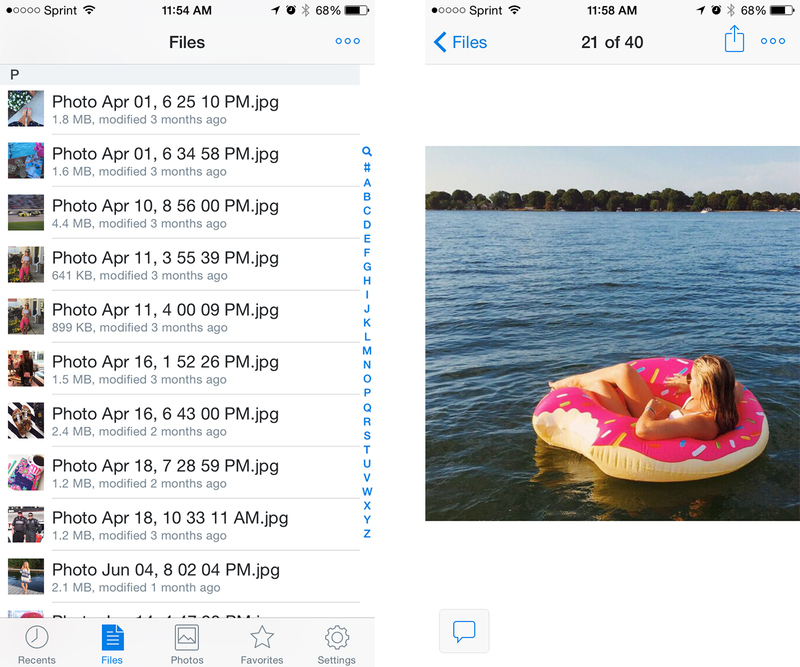 Image Resolution: Your photos don’t need to be huge to look nice! 18x12in and 72dpi is ideal. Yahoo’s SmushIt plugin will help strip some resolution and speed up your site without you noticing a difference. Amount of Images: Blogs that feature full posts on the homepage take longer to load. Consider featuring an image and a Read More button per each post. Amount of Posts: WordPress lets you choose how many posts you want to display on your homepage. By default, there is 10. Reducing the number of posts on the homepage will speed up the site. Fancy jQuery: If your site has quality, you don’t need fancy bells and whistles to clutter it. Use straightforward widgets and sliders to avoid a jQuery slowdown. Delete Plugins: If you aren’t using a plugin, delete that ish! You can’t see them, but they are secretly adding precious seconds to your load speed. 2. Image Quality & Alignment: Arguably the most important part of a blog are the images. They will make or break your posts. Most high-traffic fashion blogs feature six to nine images including full body and detailed shots. As I mentioned, a good rule of thumb for fast-loading, perfectly-aligned images is to set them to 18in x 12in 72dpi for landscape and 12in x 18in 72dpi for portrait. Additionally, make sure your images align with your text and each other. All content within a post should be the same width to be pleasing to the eye. The same goes for your sidebar. Check the settings of all of your widgets to make sure they are the same pixel width. 3. Engagement: There are thousands of websites about fashion on the interwebs. Readers visit blogs because it’s like having a personal friend out there in cyber-space. But if you aren’t responding to your readers, you’re a sh!tty friend and they’ll find a shiny new one. It is beyond flattering that a stranger would be compelled to take time out of their life to comment on your little corner of the web, so you’d better make darn sure to thank them or answer any question they might have. Nurture the relationships with your readers and go the extra mile to keep the conversation going and readers returning. 4. About Me: This is a follow-up to engagement. Your readers want to get to know you, so be sure to include a detailed About Me page on your blog. Letting them know where you’re from, what your career is, what got you into blogging, and how to get in touch with you adds a personal touch. Consider including your height, weight, and clothing size so readers can easily shop the clothes from your site. Your About Me page is also the perfect place for frequently asked questions. This will save you time and further develop the relationship with your readers. 5. Useful Information: Think long and hard about your brand. 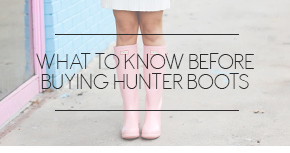 For me, I gravitate towards southern style at an affordable price, so that’s what I blog about. Figure out what you excel in and share that, in your own voice. Most importantly: create, don’t curate. 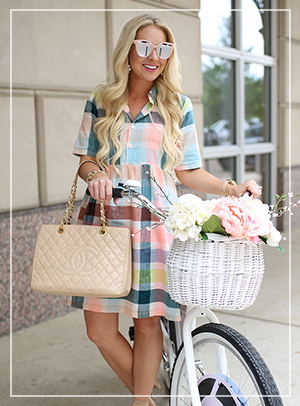 Show how to style a trend, start your own, or give readers an affordable option to the trend! 6. 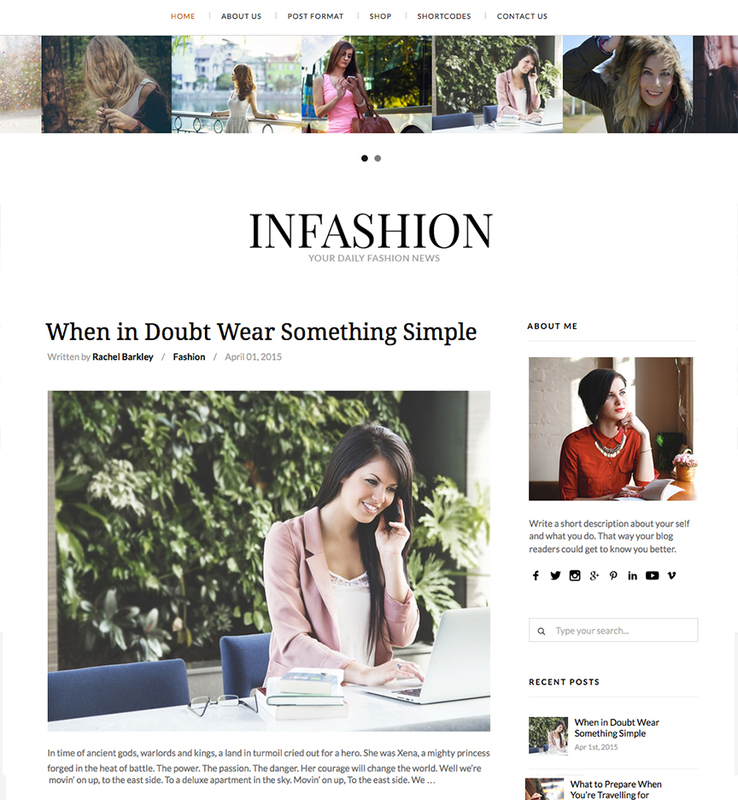 Uncluttered Sidebar: We all want to make a buck, but don’t clutter your site with ads. You’ll lose visitors and the potential income their click-throughs will provide. Approach your site as a reader would… what do you want to see in the sidebar? For me, it’s social sites, a clear navigation, RewardStyle, and additional posts. A good rule of thumb is to wait until your blog is generating 500+ visitors a day before including advertisements. Until then, try this twitter plugin and this Instagram plugin. 8. Comparison can be Good: Check out some of your favorite, high-traffic blogs. What makes them different than your site? Don’t ever copy another blog (heck, why would readers need to see two of the same thing?) but learn from them. Is it their images, their consistency, their voice, or maybe their style? Let them inspire you to step up your game! Every blog began with one post and a big goose egg for readers. There’s nothing stopping you from being the next big thing! 9. 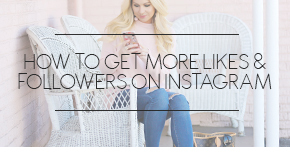 Give them Something: I don’t mean spam your Instagram with loop giveaways… I mean provide your readers with something they can really use. Reach out to your sponsors and see if they would collaborate for a giveaway or coupon code. Provide them with tips you’ve learned along the way. Your blog isn’t a store, so don’t be selly! It’s an escape or a place for your visitors to learn. Keep this in mind when constructing your posts. 10. Go the Extra Mile: In this age of blogs, it takes a lot to stand out. And though it will take some extra time, readers always appreciate additional info on the products your promoting. 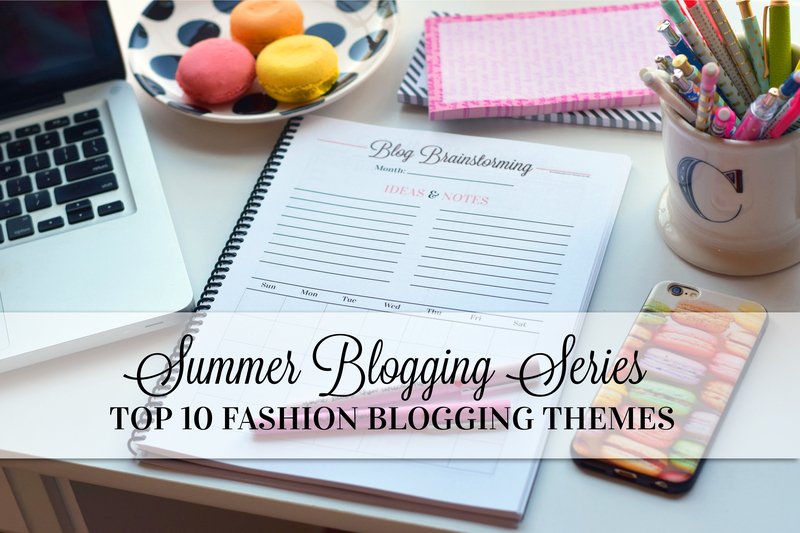 How clothes fit, the quality, price, coupon codes, and affordable alternatives make your blog a one-stop shop. Each one of us has a certain je ne sais quoi. Invest in that and nurture it to grow your readership and keep them hooked. 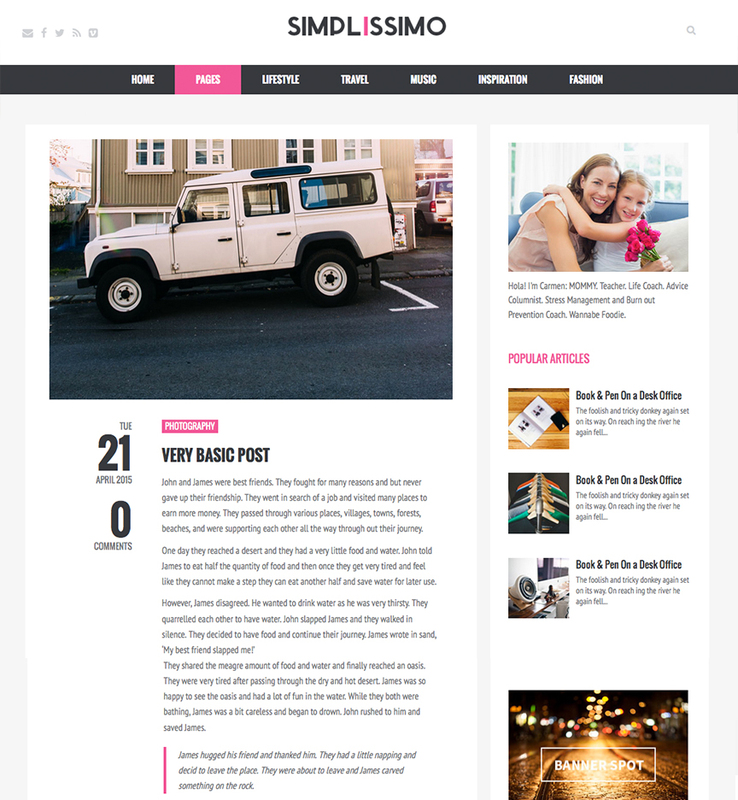 Now that we learned how to start a self-hosted WordPress blog, let’s make it visually pleasing. Disclaimer: The aesthetic I gravitate towards is clean and white. This way, your fashion images are the focal point of the site. I picked these because they are ready-made themes and take little to no knowledge of coding or HTML. Just load it onto your site and begin blogging. 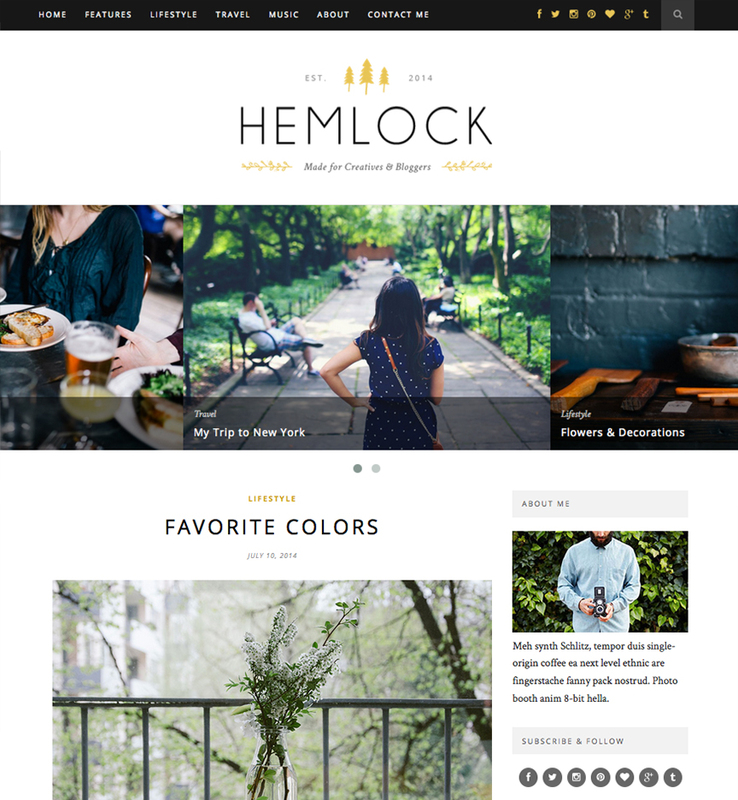 I also picked all of my themes from Themeforest. I have no affiliation with them and earn no commission from referrals. I simply feel that a lot of theme providers can rip you off, but Themeforest is affordable (under $50 a theme) and reliable. Simply click on the name of the theme to purchase or on the image to see a live preview of it. This is the theme I use. I love it because the post images at the top made it easy for visitors to navigate through your posts. 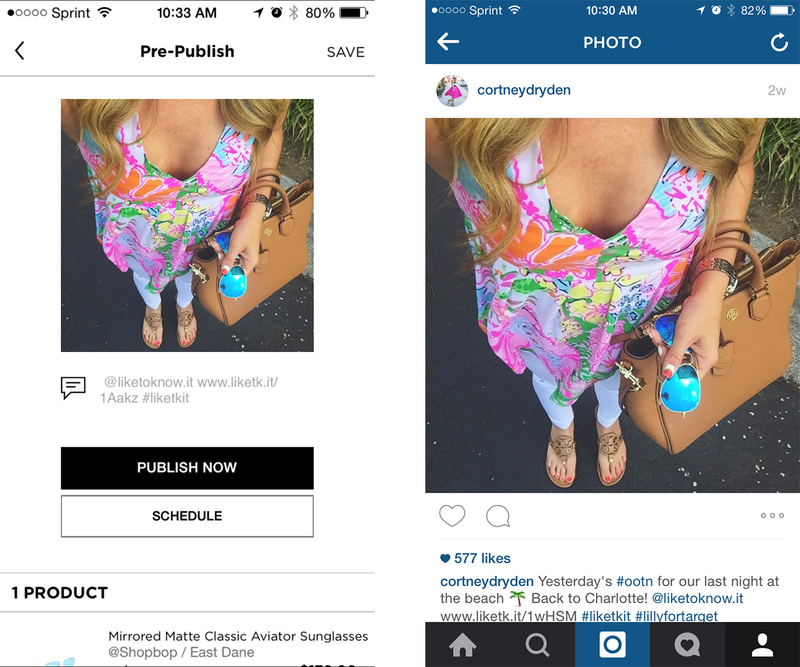 Plus, Instagram is built into the bottom of each page! If I had come across this theme before inFashion, I would have purchased it. I love that it incorporates a slider to feature your latest posts, as well as three featured images you can use as categories (fashion, DIY, lifestyle, etc.) Chiara Farragni of The Blonde Salad uses a similar theme, as well as Zanita. 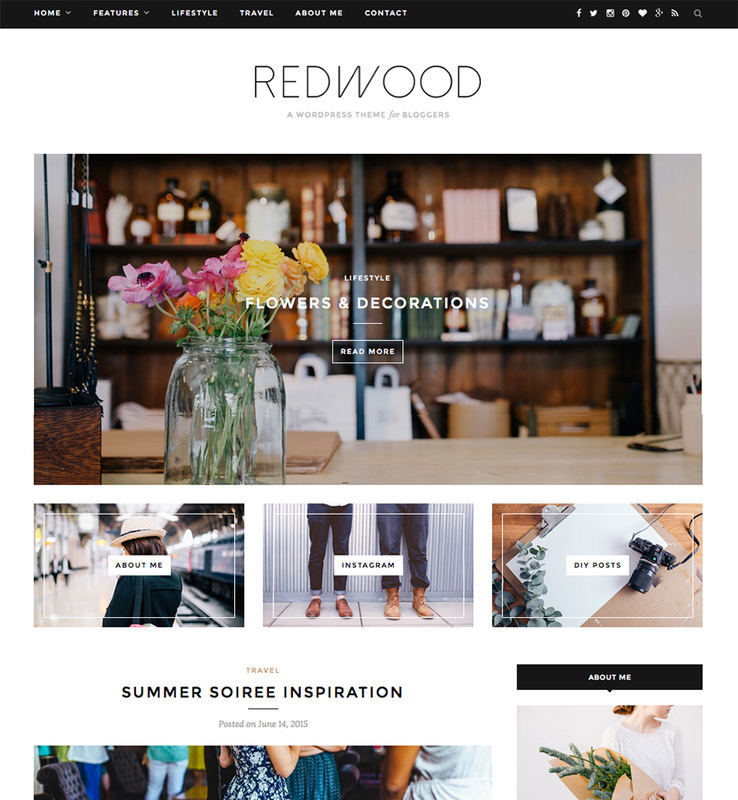 A more feminine version of Redwood. I cannot decide which one I love more! 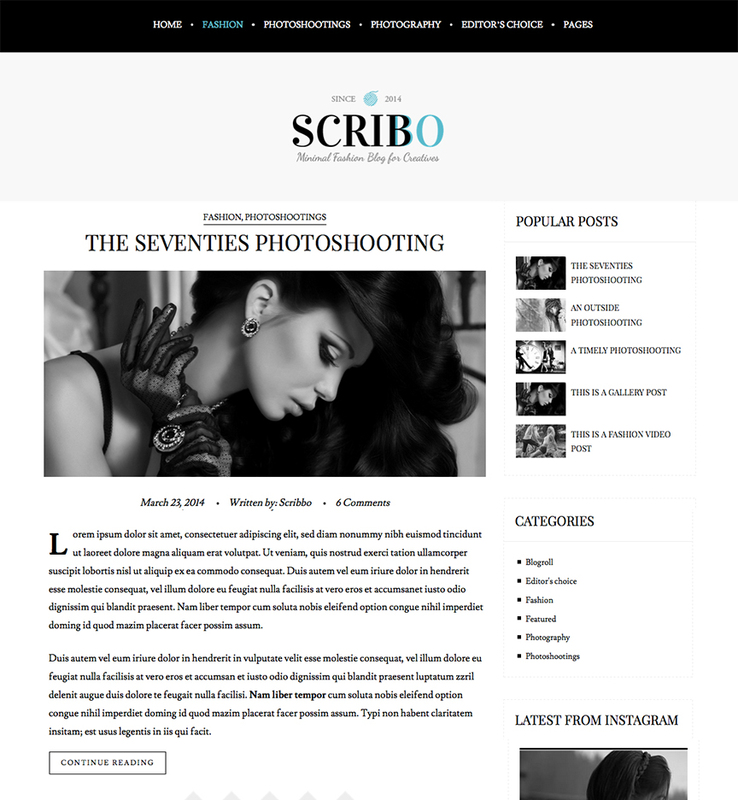 Kristina Bazan of Kayture uses a similar theme for her gorgeous blog, as well as Sincerely Jules. Another slider-centric theme. This one though, gives you the opportunity to display multiple images from your blog post into a mini grid per post. Similar to Redwood, but with a different look to the slider. This theme is super feminine, but what I love is the featured About Me section right below the slider. This way, followers get a clear view of who you are before they begin reading your blog. This theme is bright and fun and although you can change the main color, I like that it is pink by default! 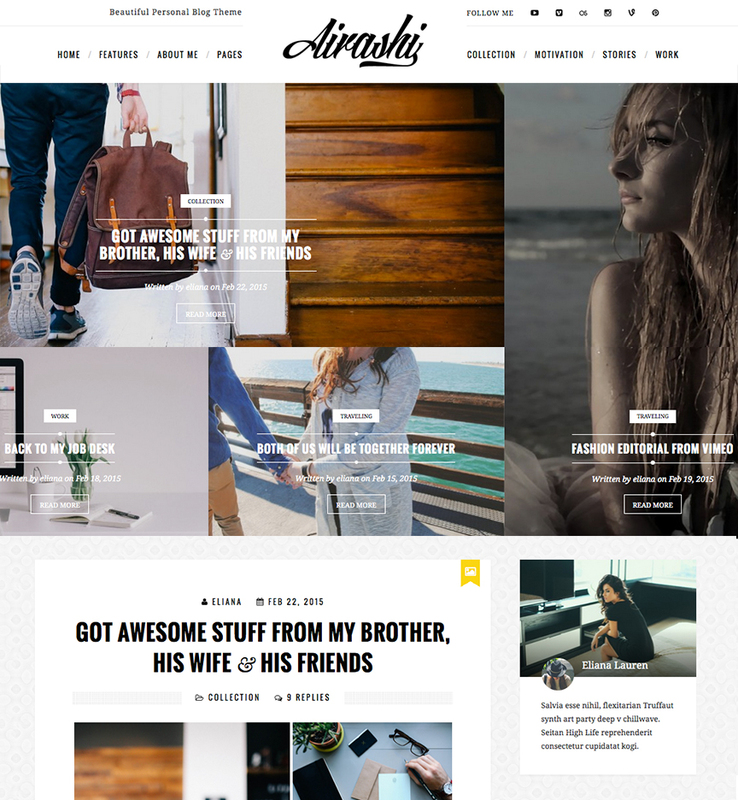 If you’re looking to be a little different, Airashi’s featured post grid is far from cookie cutter. 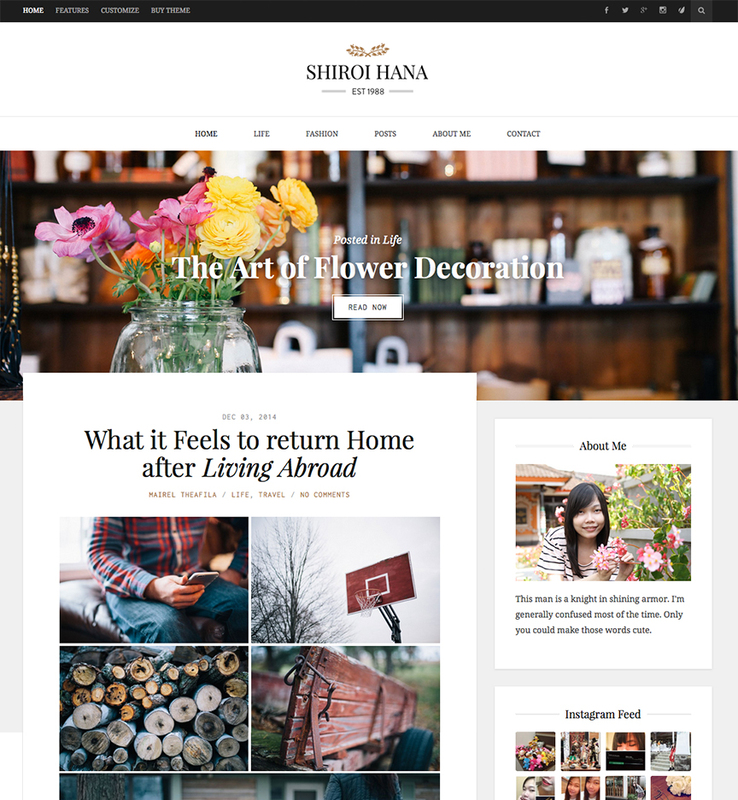 Susanna Lau of Style Bubble uses a similar grid theme for her blog. 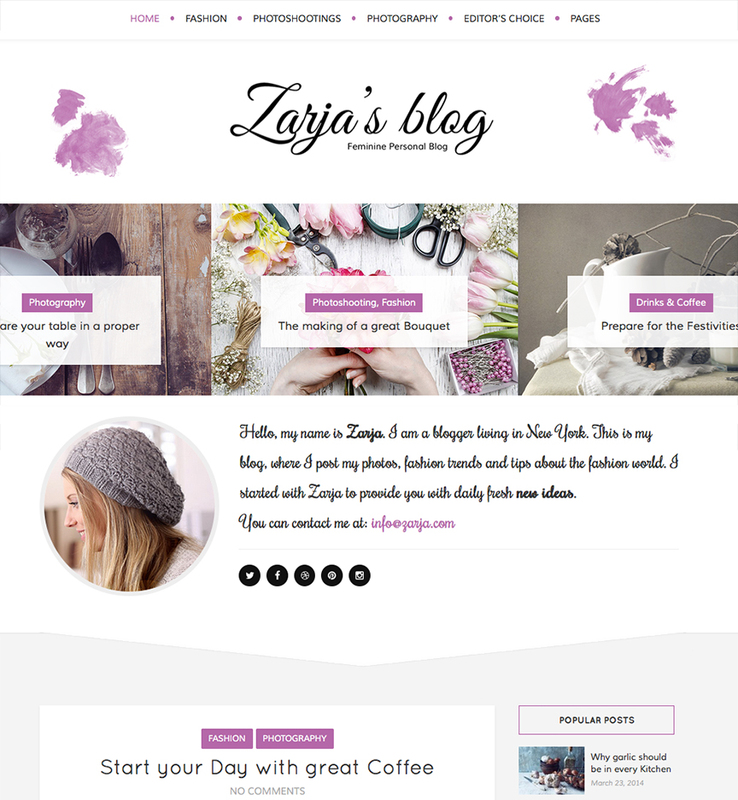 The first blogging theme that I had and one a number of bloggers use (check out my girl Jaime’s blog). It’s super straight-forward and easy to customize. 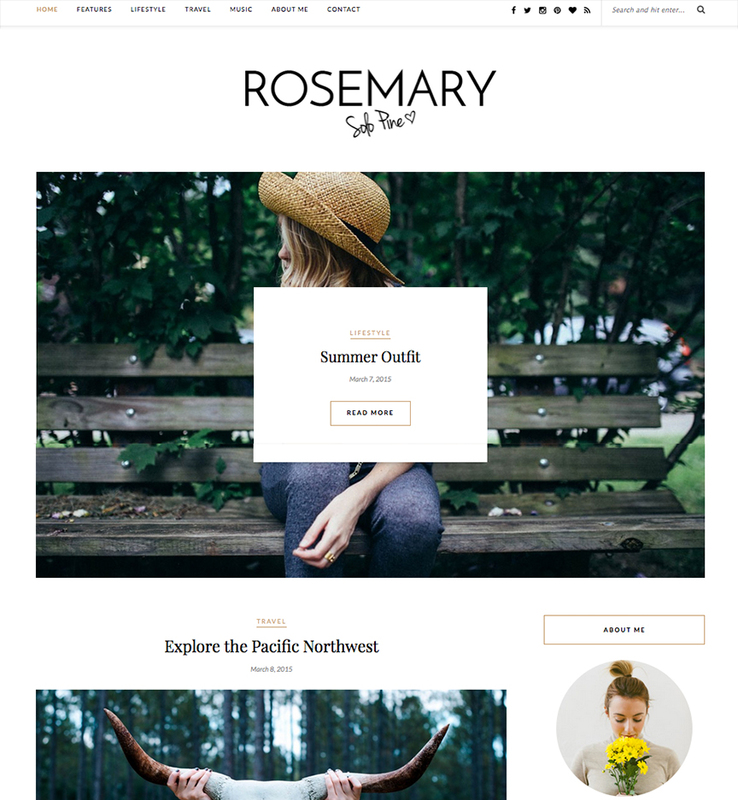 This theme is almost identical to the one used by Emily Gemma on The Sweetest Thing.